French house doesn’t get a lot of mainstream love these days, but it’s still my favorite flavor of house music. It’s a style that’s all about focusing on a catchy riff (either by sampling or by one’s own creation), adding effects, bending the pitch, and, most commonly, filtering the living daylights out of it (it has been described by some as “filter house,” after all), all while using a variety of looping sequences to keep the groove moving. The French house sound came into maturity at around the same time Daft Punk began to hit their stride; this was in the late ‘90s, during the “Homework” era in Daft Punk chronology. Not to mention that Thomas Bangalter and Guy-Manuel de Homem-Christo were true titans of the genre as solo artists themselves, using their own platforms (Roulé and Crydamoure, respectively) to dish out quality music with panache. Apart from a subgenre like deep house, you’d be hard-pressed to find dance music with groovier basslines. That’s because so much of the music that has now become a part of the French house canon sampled heavily from the funk records of the 1960s-70s. Much of French house is centered around the concept of repetition: the incessant looping isn’t an oversight on the part of the producers—it’s a feature of the music. Done right, it can have a spellbinding effect on the listener. And now, some other personal favorites of mine. 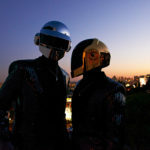 Unsurprisingly, most of these tracks have some connection to Bangalter or de Homem-Christo. By now you may be wondering: what about Daft Punk? While the duo have been known (judging by the most recent of their productions and moving backward) for their banging electro cuts (think “Robot Rock”) and sweeping cinematic tracks (think “Derezzed”), as well as for their hard-hitting live-show mashups (think Alive 2007), there are artifacts of the “pure” French house sound to be discovered in much of their earlier catalog. So…remember Alan Braxe from before? More than just a producer, he has demonstrated that his talents run deep, with successful stints as a label manager and remixer. Ever the stalwart, it’s apparent that he refuses to have his work relegated to the dustbin of history, with his long-standing Vulture record label giving a friendly home to some of the best French house in production today. Combing its archive should prove to be an equally rewarding experience for anyone interested in French house at the turn of the millenium, or, alternatively, in 2013. Vestiges of the original French sound still live on in the “nu-disco” and “indie dance” subgenres. There’s no 1:1 correspondence here, but the elements that lay the groundwork for French house can be teased out of some of this music. Rejoice, French house lovers: the sound has a future, and it isn’t so bleak after all.